Looking for a new Alfa Romeo to take on the Columbus streets? At Germain Alfa Romeo we have a full inventory of exciting Alfa Romeo vehicles for sale, so there's sure to be a model that catches your eye. Make the trip to our showroom today so you can experience one of these stunning luxury vehicles in person. 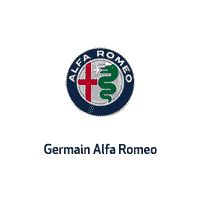 Drivers searching for the best luxury cars for sale Columbus Ohio has to offer can always rely on Germain Alfa Romeo. Our friendly sales staff will work with you to ensure that you find a vehicle that ticks every box on your must-have list, so you can drive home feeling confident about your purchase. Whether you've been searching for Alfa Romeo Giulia dealers or want to take advantage of our service department, our team is always ready to provide you with exceptional customer service. If you have questions about our current inventory, feel free to contact us! We can't wait to help you get behind the wheel of a new Alfa Romeo you'll love.